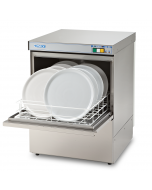 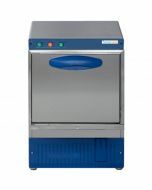 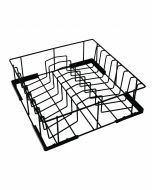 The Asber GE400 Commercial Dishwasher has a compact design, taking a smaller 400x400mm basket. 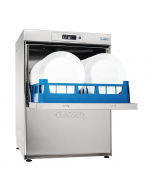 This makes it the perfect commercial dishwasher for smaller spaces, front of house installations and clubs and cafes washing smaller plates and saucers. 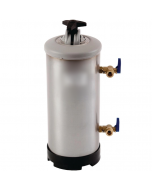 Featuring thermostatic protection and guaranteed hygienically safe wash and rinse temperatures alongside WRAS approval, it is fully complaint with health and safety legislation. 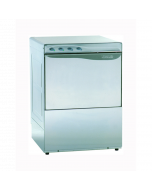 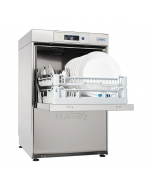 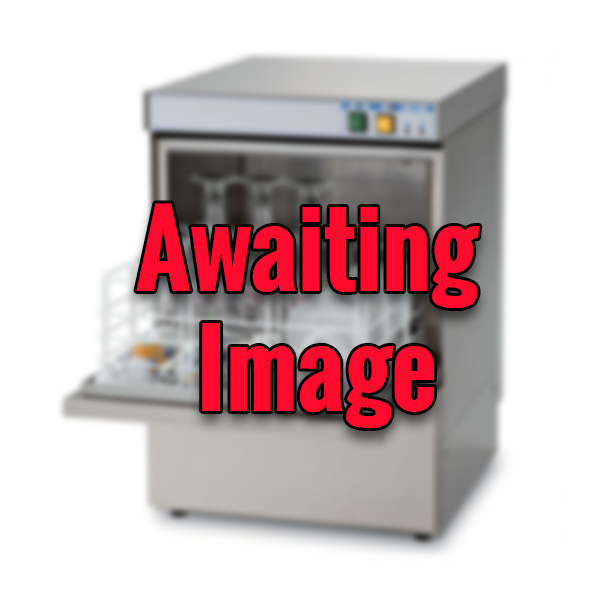 The Asber GE400 commercial dishwasher provides completely automatic operation. 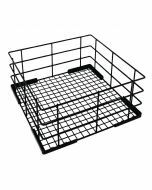 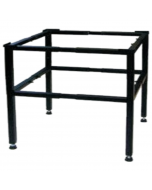 All users need to do is load basket with plates, cups and saucers. 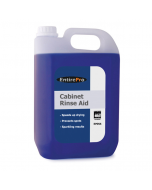 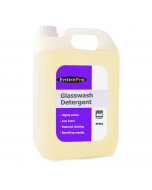 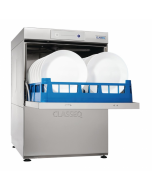 Automatic detergent and rinse aid dispensers correctly dose chemicals to provide sparkling clean crockery and cutlery in just 120 seconds. 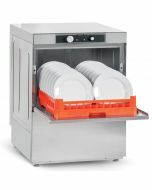 Combining high performance dishwashing with simplicity and practicality, the machine features rounded tank corners to prevent build up of dirt. A wash tank filter traps any debris from entering machine components and all accessories, such as wash arms and filters, can be easily removed for cleaning. 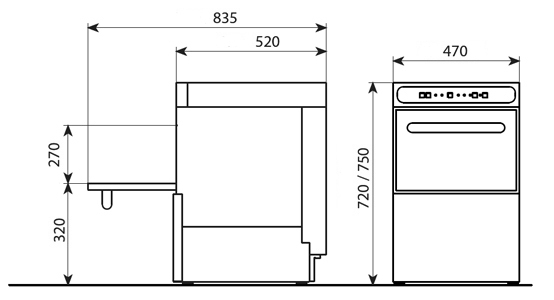 All major components are also accessible from a removable front-panel. 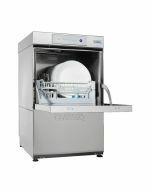 Featuring a 11 litre wash tank and an independent rinse booster boiler, The Asber 400mm dishwasher provides quick heat-up and recovery times whilst maintaining energy efficiency. 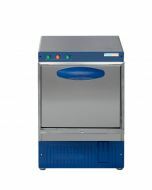 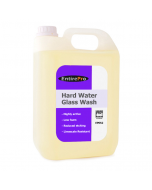 Utilising only 2.5 litres of water per cycle, it can guarantee wash at 60c and rinsing reaches the hygienically safe 85c required for health and safety compliance. 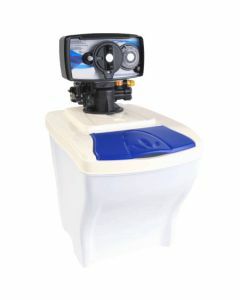 A safety thermostat and anti-backflow valve is also fitted as standard to achieve full WRAS approval. 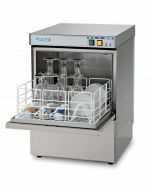 Featuring full stainless-steel construction and incorporating stainless steel components, including stainless-steel boiler, elements, moving parts, wash arms and fittings, the Asber GE400 dishwasher offers outstanding durability. 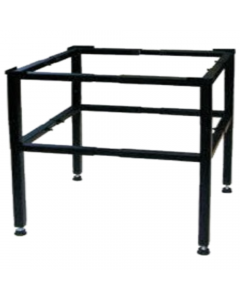 The tried and tested design is guaranteed to require minimal maintenance and offer a long lifespan, a promise of quality is backed by a standard 2-year commercial warranty.